With the launch of Mega Man Battle Network in North America today, Nintendo brings us some very good Virtual Console news. Coming from today's press release: "If you like Mega Man, then you’re in for a treat - a classic Mega Man game will release every Thursday in August in the Nintendo eShop on Wii U!" That's right; it's Mega May all over again! In August! 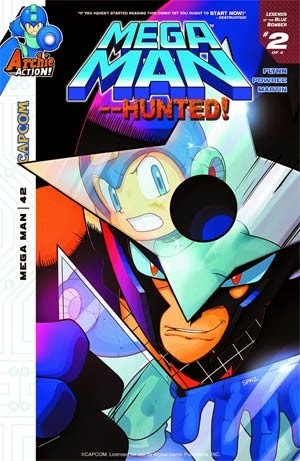 Capcom Unity has the lowdown on which games we can expect: Mega Man 5, Mega Man 6, Mega Man X3, and Battle Chip Challenge. The release order, however, will be a mystery... so you'll have to wait until Thursday to find out which one came out. Naturally, we'll keep you posted. Until then, go and enjoy Battle Network! Thanks to the efforts of SA-GCCX, we can now enjoy the first episode of GameCenter CX's Mega Man X challenge in English. 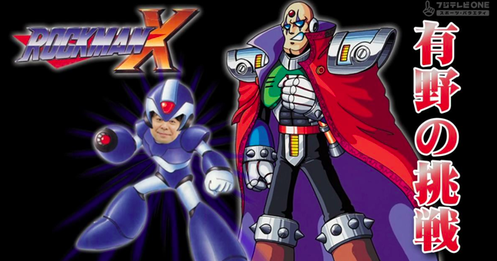 Having bested four Mega Man games in the past, host Shinya Arino approaches the series' first 16-bit outing with cautious optimism. "Things get scary when it moves to the SNES," says a humble Arino. "It either gets way ambitious, or easier to play." This being part one of a two part challenge, you can imagine how things will play out. Either way, it's a fun watch. Head to GamingCX.com for the full episode (available both to stream and download). UPDATE: Episode 2 is live! The Virtual Console train keeps on chuggin'. Next week in Japan, Rockman 7 will hit the Wii U on August 6th, priced at 823 Yen ($8.06). 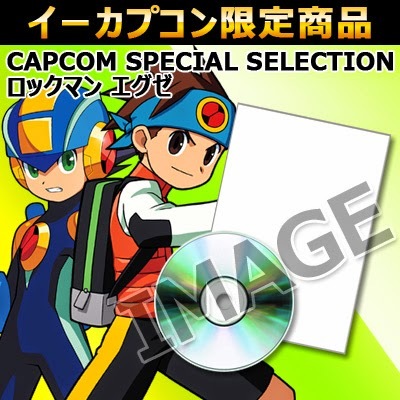 This marks the first time Rockman 7 will be made available digitally. While a specific release date has not been set for North America, we do know it will hit our shores sometime this year. Nonetheless, if you happen to own a Japanese Wii U, take this as a heads up. Today's Nintendo Minute (guest starring Capcom USA's own Brett Elston) delivers good news for Battle Network fans in the west. The original Mega Man Battle Network will be making its way to the North American Wii U Virtual Console next Thursday, July 31st. You can check out the announcement at the 2:45 mark above. No word yet on price, though $7-$8 is anticipated. We'll have all the details next week! Thanks to Axl_abe for the tip. And you thought Battle Network 2 was next? 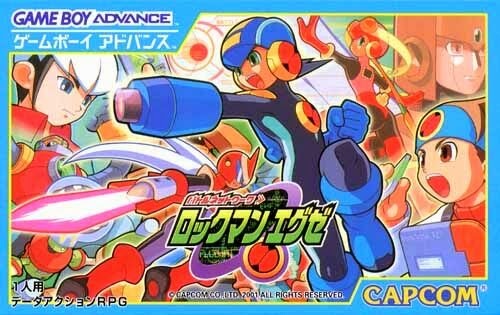 Nope; Nintendo is jumping two sequels ahead to Mega Man Battle Chip Challenge (aka Battle Chip GP). The side-story/spin-off is slated to hit the Japanese Wii U Virtual Console on July 30th for 702 Yen. Battle Chip Challenge is... well, 'meh' at best. It's not terribly fun and, quite honestly, there's little to no actual challenge. It's just so easy. A breeze, almost. Mix that up with repetitive and dull combat and you've got yourself a series low point. The general consensus tends to highlight BCC as the beginning of Battle Network's quality decline. 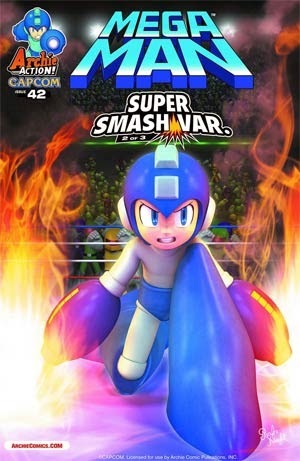 The game's focus on tournaments would carry over into Battle Network 4. Red Sun or Blue Moon, the narrative was pretty much the same: tournaments. So many tournaments. 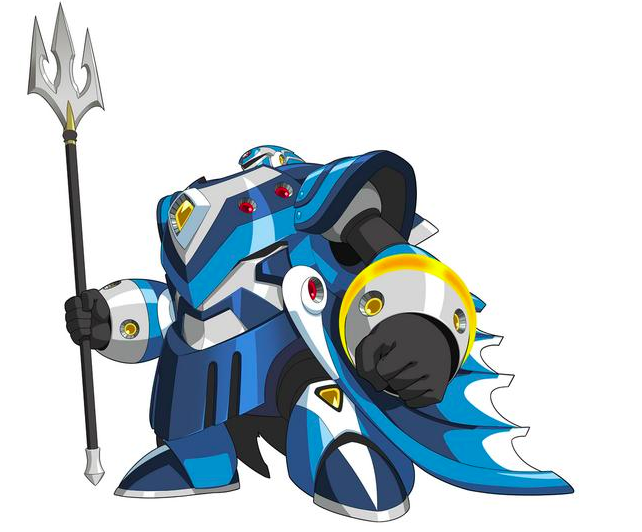 On the upside, BCC did give players the chance to play as Navis other than Mega Man.EXE. That was pretty cool. Anyway, BCC is very much indeed coming to Wii U. It'll end up on our shores eventually, most likely after BN1 (next week!). At this point I think it's safe to say Europe will get it first. So if you enjoyed the game in the past or curious about it now, stay tuned -- it's coming. 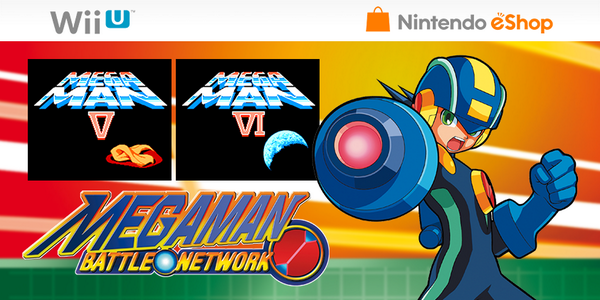 Good news for our friends in Europe: a triple dose of classic Mega Man games are coming your way. Nintendo of Europe (and Nintendo UK) have announced that Mega Man 5, Mega Man 6, and the original Mega Man Battle Network are all headed to the Wii U Virtual Console on July 24th. 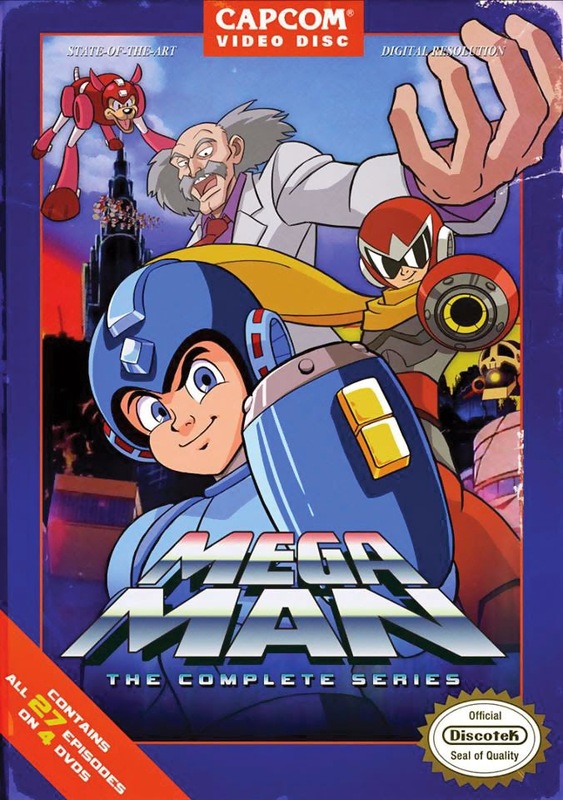 Another piece of good news: according to today's press release, Mega Man 5 and 6 are the US versions. As one may recall, the PAL versions played at a slower framerate than their North American counterparts. So in just a few short days you'll be able to complete your Wii U NES Mega Man collection and kick off, what we hope will be, a string of Battle Network releases. No word yet on when these titles will hit North America. The sooner the better, though; I'm keeping my fingers crossed for Thursday. If not, we'll keep you posted. Thanks to Eric for the tip! Mega Man StreetPass Puzzle Completed! By way of BumperHelicopters, here's the completed Mega Man StreetPass puzzle in action. Suffice to say, it's quite cute. When viewed on a Nintendo 3DS, the action is displayed in, well, stereoscopic 3D. 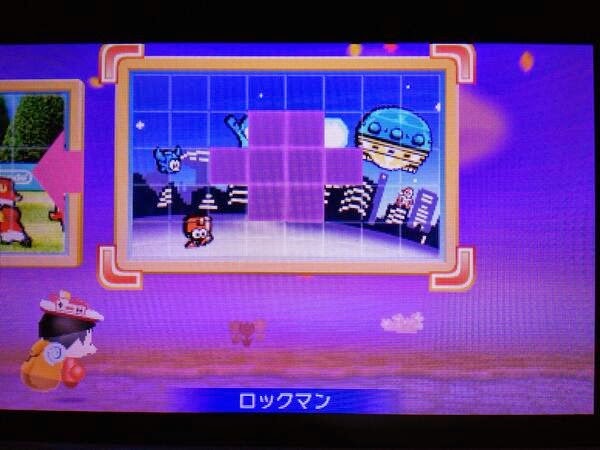 Still no word when the puzzle will hit Mii Plazas outside of Japan. We'll keep an eye out, though. Thanks to Heat Man for the find! Keiji Inafune Ponders "Mighty Legends"
It's no secret that Keiji Inafune adores Mega Man Legends. So much so, in fact, he once expressed interest in making another game just like it some day. Nearly a year has passed since that comment was made, and Inafune isn't backing down from it. In a recent Q&A session at SGC 2014, Inafune voiced further interest in seeing the Mighty No. 9 series go in different directions. Speaking through his translator, he posed the following question to the audience: "If you guys saw a Mega-Man Legends-style 'Mighty' game come up on Kickstarter, would you consider backing it?" As one would expect, the fans erupted into a roaring cheer, with one fellow belting out "take my money." Inafune's translator continued, "he's got nothing to announce today, but the fact is, he's heard all of you shout out like that, so hhe's definitely putting that in his pocket and taking it back with him." Where do you stand on the prospect of a Mighty Legends? Well this is interesting. 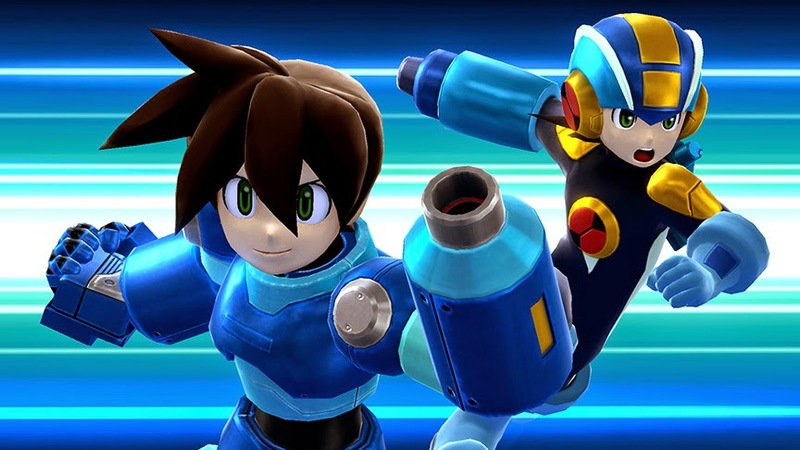 Nintendo 3DS owners in Japan now have access to a Rockman puzzle for Mii Plaza's Puzzle Swap. Pieces are being sent out by StreetPass at this very moment, so hopefull we'll have an image of the completed puzzle soon. For the record, this is the second third-party puzzle based on a Capcom property; a Monster Hunter 4 puzzle hit not too long. Still, just another example of Nintendo showing some blue bomber love. How lovely. for the StreetPass Mii Plaza. Good Smile Company, manufacturer of various Japanese hobby products, recently held its third annual figure creation contest for its employees. 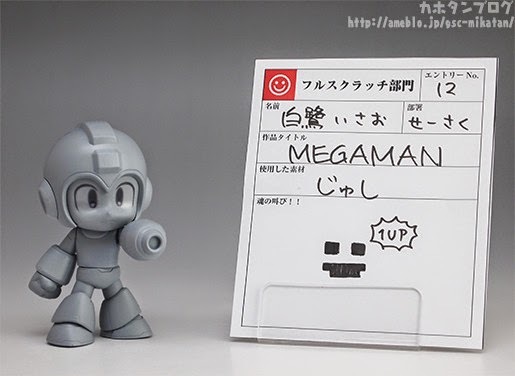 While there's no guarantee these entries will go on to become actual products, we can't help but admire one in particular: a Mega Man Nendoroid. 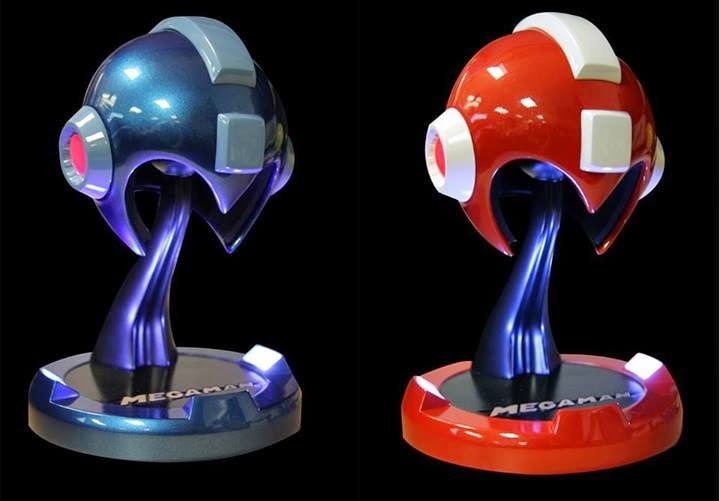 Mega Man clocks in at 10cm in height, clad in his spiffy new Super Smash Bros. armor. Just look at that face. The super deformity. It's so cool it really makes you wonder why this isn't a thing. With enough attention and admiration, though, perhaps Good Smile will see to producing it. Here's hoping! 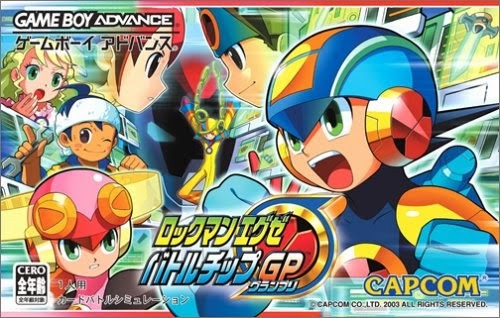 Wii U owners in Japan will be able to download the original Rockman EXE next week on the 9th for 702 Yen ($6.90). Given the rate that these Game Boy Advance have been hitting Wii U, not to mention word of Capcom U.S' own ambitions, it seems all but certain that the game is headed to our Virtual Console soon. This marks the first time the original Battle Network has been made available for digital download. 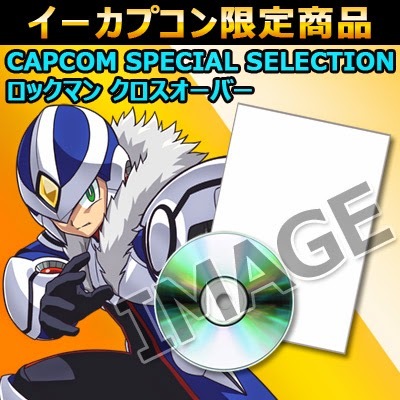 According to Capcom, it will be followed by Battle Chip Challenge and Mega Man Zero some time this year. 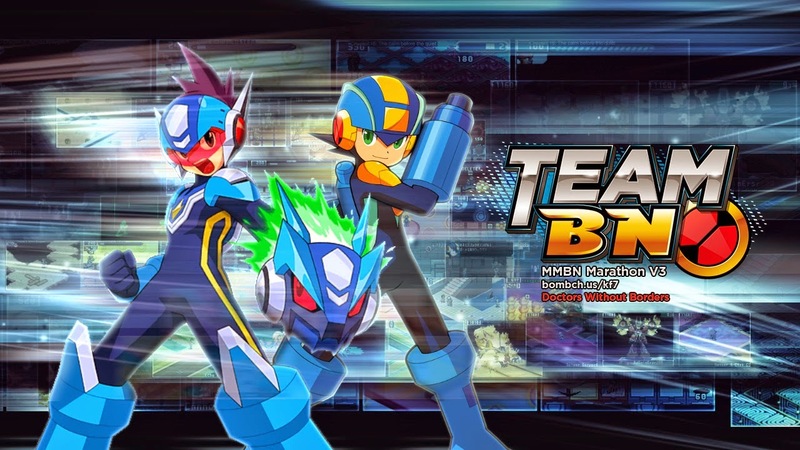 Dates for Battle Network 2 & 3 and Mega Man Zero 2 remain to be determined.